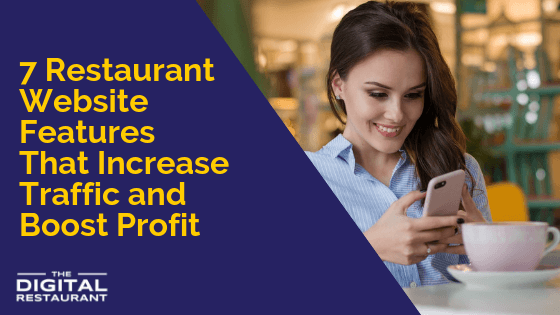 Every restaurant owner wants to increase their number of reservations and generate more money for their business. Having a restaurant website is a key part of that. Yet we see so many that are lacking the restaurant website features needed to really succeed. Having a website isn’t enough for most restaurants. You need a feature-packed website that serves your customers and your business. And we’re going to show you exactly how to achieve it. In this blog post, we’ll cover the seven key features that every restaurant website should have. Forget about parallax scrolling and virtual tours of your restaurant, these are the seven features that your restaurant website NEEDS to have in order to be successful. Your menu is one of the most important parts of your restaurant, so of course, you need to have it on your website. In fact, it’s probably the first thing a customer looks for when they visit your website. That means your online menu should take up prime position on your website. For some that will be placing it in clear view on the homepage of their site. For others, that will mean dedicating an entire page to your menu and clearly highlighting that page it in the menu bar. Wherever you choose to display your menu, you need to make sure that is accessible to all customers. That means you shouldn’t be creating a fancy Flash-based menu that doesn’t work on most phones or in most browsers. It also means creating a mobile version of your menu so that it can be quickly and easily digested by visitors browsing on their smartphones. Make sure that your full menu is on display, too. Not everyone who visits your website is going to be willing to visit your restaurant. But they may still want to try your food. That’s why incorporating online ordering into your website is so important. Most diners don’t want the hassle of picking up the phone to order a meal. They want to do everything online, whether that’s on their phone or on their laptop. Not only does online ordering capture the business of a number of customers who you might otherwise have missed, it also lets you take back business from some of the online ordering platforms like GrubHub. When you have online ordering in place on your site, you take back the commission that these sites charge and capture valuable customer data. It’s a win-win! Speaking of mobile customers, you need to make sure you have a properly mobile-responsive that looks beautiful and works properly on any mobile device. A significant portion (probably over half) of your website visitors are going to be using mobile devices. It’s not an option for your website to work for them — it’s a necessity. And we mean the entire site should be accessible. That means your menu should look great and be readable, your online ordering system should work on a phone and your phone number and address details should be designed so that visitors can call your restaurant and get directions to it at a tap. Your customers shouldn’t have to download an app to have access to your loyalty program. Consumers are becoming much more precious over their phone’s real estate and less is now more. That means if they have to download your app to access your loyalty program, customers may not use it at all. But loyalty programs are huge drivers of business for restaurants and the more customers that use them, the better. That’s why you need to include a browser-based version of your loyalty scheme on your website, making it easy for anyone to access. 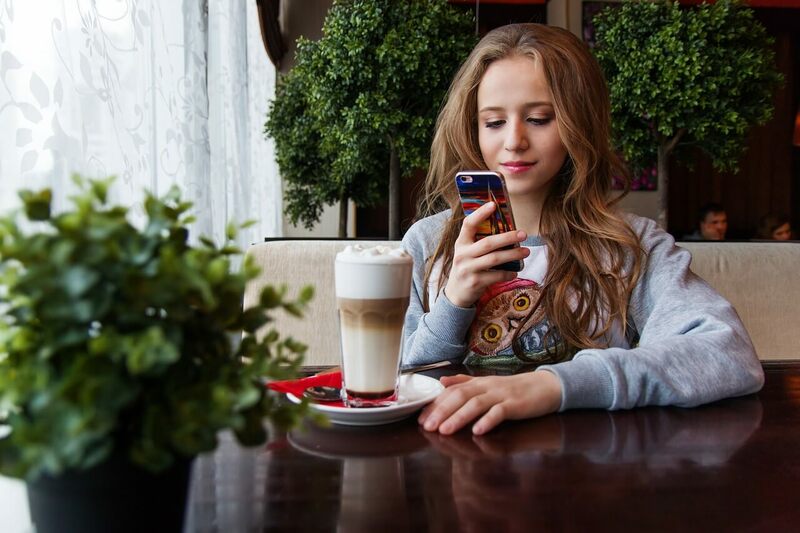 Of course, you need to make sure your online loyalty program works on smartphones too – obviously! Unless they are familiar with your restaurant, most of your customers are going to want to read reviews before they book a table. So why not make it easy for them? We recommend that you do so by integrating reviews of your restaurant into your website’s design. One method is to take some of your best online reviews from Yelp and hard code them into the design. That way visitors will always see glowing recommendations. Another more open way is to pull your latest reviews from one or several review platforms. You’ll always have fresh reviews but you have no control over what they say or how they rate you. How are website visitors meant to get in touch with you if you don’t make it easy for them? If you don’t have your website’s contact details (such as your phone number and address) clearly displayed on your website, you could be missing out on hundreds of reservations and walk-ins. Not only that, but by not including your contact details clearly on your site, you could also be negatively impacting your local SEO. Google needs a reference point for your number and address and uses your website to get it. If you don’t make it easy for Google to find, you could be missing out on tons of local traffic. We recommend including the phone number and address of your restaurant on every page of your website. If you have several addresses, then create a separate contact page for every restaurant location. If you’re investing time and money into social media, taking advantage of every opportunity to grow your following is key. The more people who like your Facebook page or follow you on Instagram or Twitter, the more people you have to market to in future. Your website is the perfect place to advertise your social channels and encourage people to like and follow your profiles. You’ll also find that many customers will want to see what people are saying about your restaurant on these channels. Social proof is a powerful thing so take control of the conversation and direct customers to the right profiles. If you’re looking for the perfect restaurant website design, The Digita Restaurant can help. We’ve helped hundreds of restaurants build exceptional online presences — and we can do the same for you, too. Get in touch today for a free consultation and to find out more about how our restaurant marketing platform can help your business succeed.